Hey, hi! Let’s chat…about omelets! And when I say omelets, I mean like a really GOOD omelet. One with the yolks, some butter, herbs and cheese. Backyard chicken eggs, fresh herbs, a little butter, a lot of cheese, a perfectly ripe avocado, crispy bacon, charred corn and a little arugula. Totally California style, right? Simple, fresh and light, but not boring. Colorful, but not crazy… and um, so freaking good. Perfect for breakfast, lunch and dinner. Not gonna like, omelets for dinner work great for me. Sometimes I feel like omelets can be boring and no one likes them, but then I make them and I’m like, nope these are SO good. But for real, I almost scrapped this recipe because of all my second guessing…ugh. Good news is I’m now in LOVE with it and so excited to share! SO. You guys all know I have a thing for breakfast foods, I love sweet breakfasts. 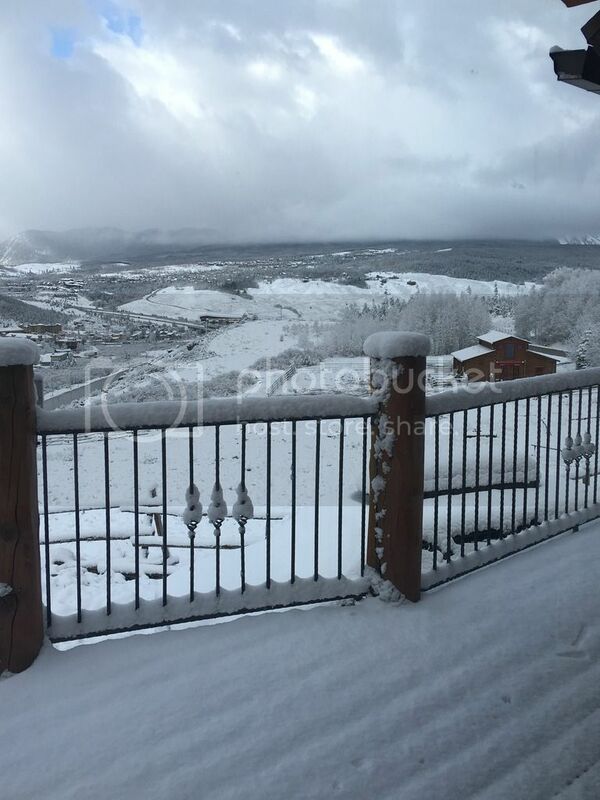 Pancakes, french toast, crepes, oatmeal, fruity breakfast bowls, etc, etc… I could literally go on and on. But, I also love a good savory breakfast. My all time favorite GO TO is simple toast, avocado and two over easy eggs with salt and pepper + fresh fruit. SO simple, but it’s my favorite, and I make it ALL the time. A lot of times when nights are crazy, that may even end up as dinner, or if I’m feeling like something a little different, I’ll go for an omelet. 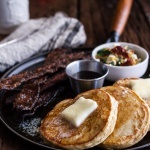 A lot of you have been asking for more savory breakfast recipes. 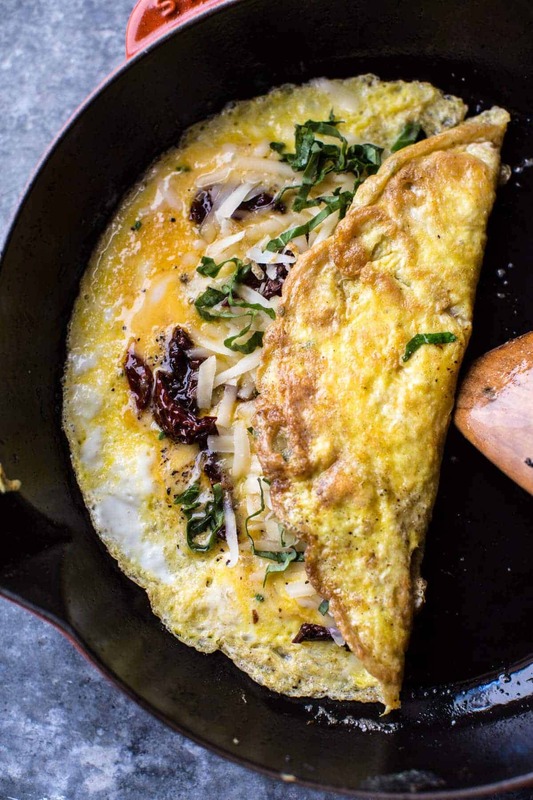 Enter this Cali inspired omelet. Normally when I’m making a recipe for just myself, I’ll add a little of this and a little of that. This omelet was kind of one of those recipes. Basically, it was the contents of my fridge that day. But the combo just totally worked, plus I literally I had a meal on the table in just about twenty minutes. Like yes, please!! Here’s how this goes. You ready? It’s gonna go fast. OK, then add butter to a skillet and cook the omelet. Add some sun-dried tomatoes and Gruyère cheese (yes, yes, yes!). And then DONE. I like to fold the omelet like a letter. One, this helps the cheese melt and stay all warm and gooey, and two it just fits nicely on a rather large piece of toast. Yes, the toast is a must. Obviously. 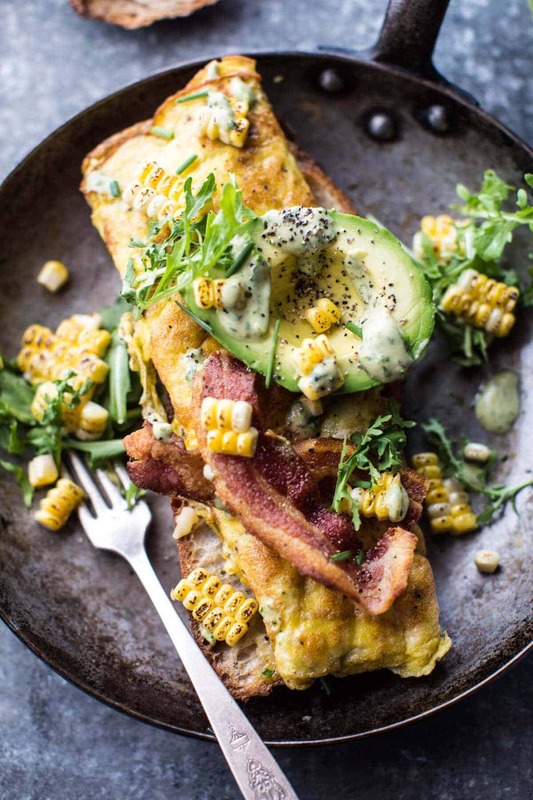 Then just maybe cook up some bacon, add an avocado, some fresh or grilled corn and arugula. 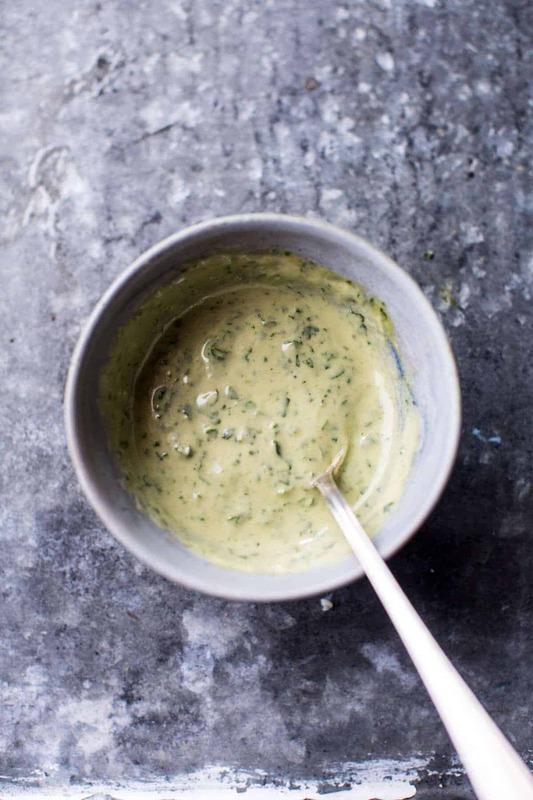 Finish it with a drizzle of simple creamy cilantro tahini dressing… that you can make in like thirty seconds in the blender… and then DONE. 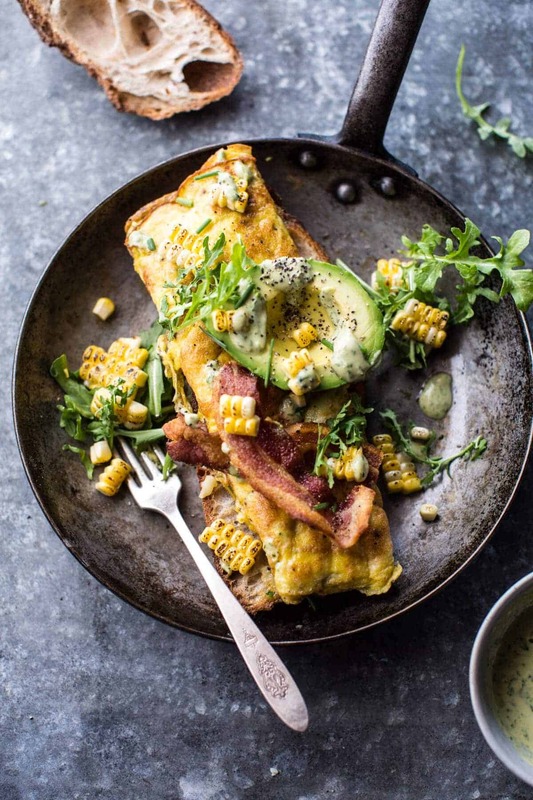 You can really be creative and top these omelets with whatever you have hanging around in your fridge. Leftover quinoa salad from the night before? That will surely work. Maybe a little cheddar instead of the Gruyère? For sure. Or maybe you have salmon that needs cooking? Yup, that would be DELICIOUS. So you see, anything goes here, but never skimp on good eggs, butter, cheese and um, carbs, can’t forget those. Remember guys, carbs give you energy, and since it’s only Tuesday, we all need our fair share to help carry us until Friday. Then we can crash….oops I mean eat cookies (maybe a Friday post?) and party! ? Serious love for this recipe guys. No joking. It’s so good and you should prolly just make it tonight for dinner. Mmmm, k? Cool. In a bowl, use a fork to whisk together the eggs + a pinch of salt and pepper. Whisk in the chives. Heat a large skillet over medium-low heat. Once the pan is hot add 1 tablespoon of butter and swirl the pan to coat. Pour in half of the egg mixture and let it set for about 10 to 20 seconds. Use a heat-safe spatula to gently move the set eggs toward the middle of the pan, then tilt the pan so runny eggs take their place. Sprinkle on half of the sun-dried tomatoes. Allow the eggs to set almost completely and then add half the cheese to the center of the omelet. Use your spatula to gently release the underside of the omelet from the pan. Tilt the pan a little forward and back to make sure it’s not stuck anywhere. Let it set for a few seconds, then scoot it off the pan onto a plate. Immediately fold both sides over the cheese like you would a letter. The heat from the omelet will melt the cheese. Repeat with the remaining ingredients. Place each omelet on a piece of toasted, buttered bread. 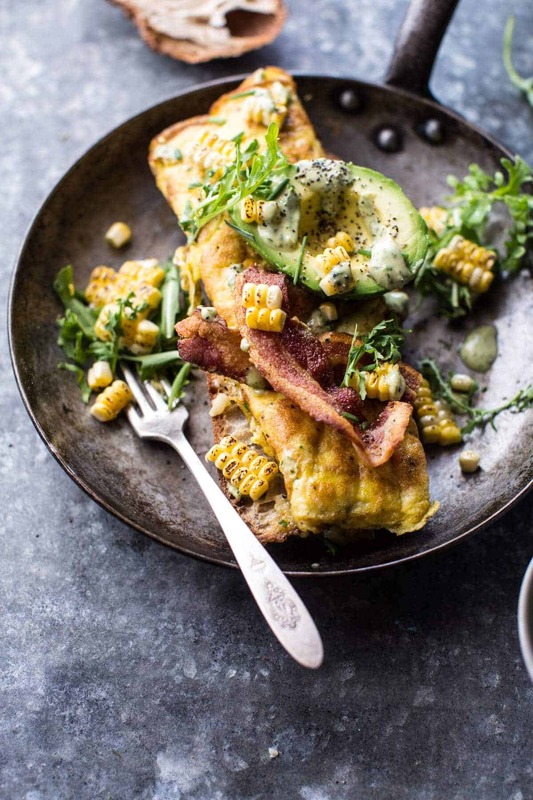 Add a handful of arugula, grilled corn, a slice or two of bacon plus an avocado sprinkled with salt + pepper. Drizzle each omelet with the tahini dressing (see below). EAT! Combine all ingredients in a high-powered blender or food processor, add a 1/4 cup water and blend until smooth and creamy. Taste and adjust salt + pepper to your liking. Dressing will keep in the fridge for up to 1 week. Do you see the cheese?!?!?! Yes and yes and YES! So perfect!! I’m sure he will make it just right! Hope you enjoy!! 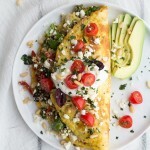 Goodbye boring omelets cause this one looks amazing Tieghan! I clearly need this in my breakfast line-up this week! Haha! Tori you are the best!! Hope you get to make it!! Don’t worry – I’m dreaming of my old Southern California home today, too! UGH!! haha! But thank you! This looks incredible. Savoury breakfasts are the best!!! Love all the toppings too – yum! I’ve never thought of drizzling a sauce over an omelette before but will definitely try it now! Thanks Sasha!! Glad I opened you up to it!! Hope you love it! Looks like a great omelet…. 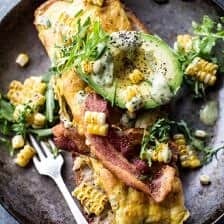 Beautiful omelet — everything that I love! Haha! What luck!! Hope you loved it! 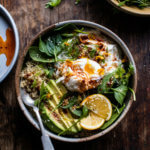 Making this for dinner because breakfast for dinner is even better than breakfast for breakfast! Absolutely agree with that! Hope you love it Ellie! I made my first recipe from your blog (I want to make them all). I am making this one either for dinner tomorrow night or this weekend for breakfast ! Would love you to do a video making the omelet in the pan and also a crepe ! I seem to always mess these up! YAY! So happy you’re trying them!! I hope you love this one! I will try to do one in the near future!!! Thanks Julie! They are the best! Especially when its been a while!! Yum I love omelettes! So underrated. 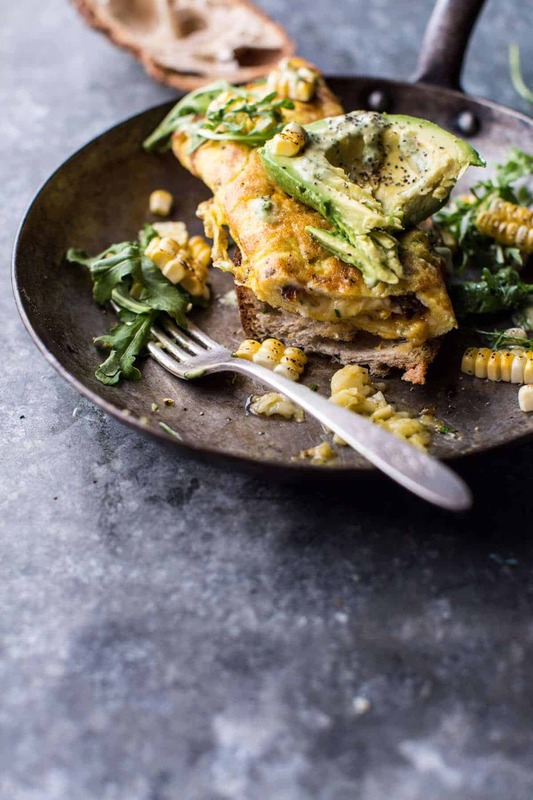 The corn, arugula, and cheese combo is perfection! THANK YOU!! Means a lot!! You can never go wrong with omelets–I have them loaded with vegetables every single weekday for breakfast! 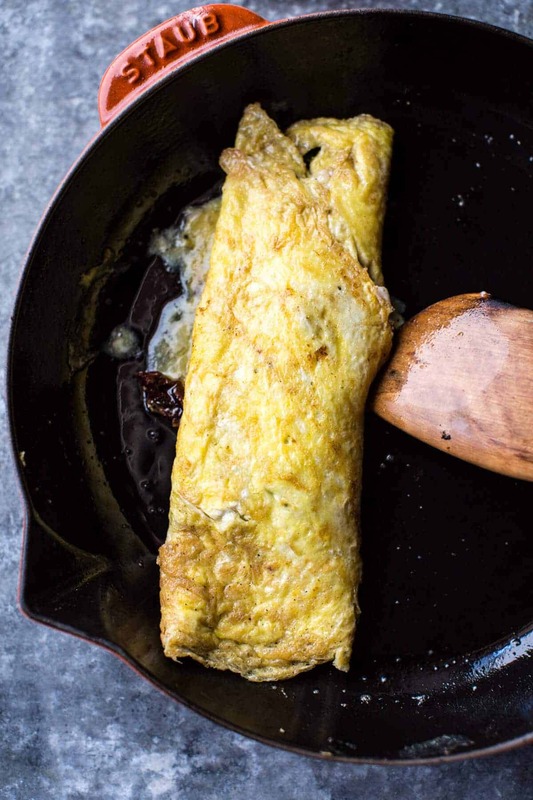 The way you plated your omelet and folded them like a burrito is PERFECT! I agree! Thanks so much Cassie!! You can never go wrong with avocados and eggs. I have been on such an avocado kick lately. Agreed!! Hope you love it Erin! I love that you added toppers to your omelette, such a fab idea! This is perfect for the weekend! Woowoo! Hope you loved it Laura!! Thanks so much! We just had these for breakfast and holy smokes! So dang good!!!!!! My new favorite omelette, hands down. Everything works so well together! YEAH!!! That is so awesome! Thanks so much and happy 4th of JUly! 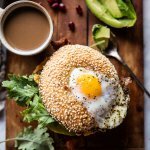 I made this for breakfast yesterday and I am about to make it again for lunch! It was really really tasty. So happy you liked it! Thanks Cati!